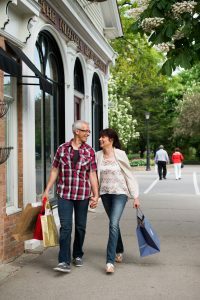 Niagara-on-the-Lake known as “The Prettiest Town in Canada” has had a long and distinguished history. The Shaw Festival is one of the top repertory companies in the world featuring musicals, comedies, and provocative dramas. 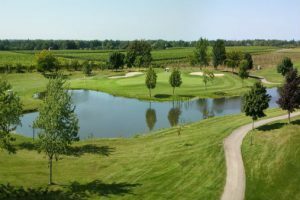 Twenty-seven wineries are scattered amidst a landscape of vineyards and orchards stretching along the picturesque Niagara River Parkway. Inniskillin Winery’s Extreme Canadian Icewine Experience is a Canadian Signature Experience. Neob Niagara Tour the aromatic greenhouse, roam the lavender field as you stop and smell the flowers, experience the boutique and which includes natural products made onsite of essential oils. 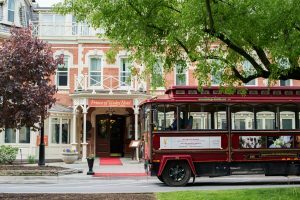 And then there’s the horse-drawn carriage rides, a golf course, trolley wine tours and a free shuttle bus to transport you around town. 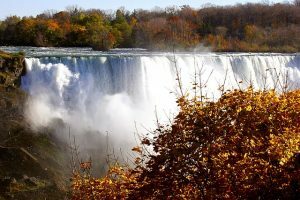 For one of the most famous wonders of the world, we cannot forget Niagara Falls, Ontario, which is just a few minutes from Niagara on the Lake. 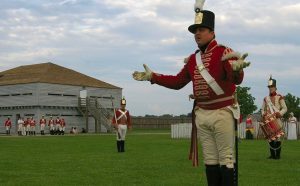 In 1781 the British Government purchased the land from the Mississaugas; a strip of land 6 miles wide along the western bank of the Niagara River for “300 suits of clothing”. By 1796, 70 new homes were built, and the town continued to prosper as the economic, administrative and judicial center for the Niagara Peninsula. From 1812 to 1814, war had blackened the skies of Niagara. Invasions in all three years of the war led to bloody battles. With peace in 1815, the citizens rebuilt the Town after the War, with the residential quarter around Queen Street and toward King Street. The new courthouse was rebuilt out of firing range of the cannons of Fort Niagara. Rebuilt, Niagara became an active commercial center, with busy shipping and shipbuilding industry, as well as many shops and warehouses. The beautiful old homes lining the tree-shaded streets attest to the prosperity of its citizens.